Fly-fishing and Trout are arguably the perfect combination, especially in the early season. Nothing beats watching a streetwise Trout rise from the depths to take a dry fly, and the anticipation of waiting for that take is almost incomparable. On the flip side, it is a truly dreadful feeling of watching a trophy worthy Trout ignore your perfectly presented Nymph. Not everyone will be gearing up for the Trout season by stocking up on flies. For some, baits will be their weapons of choice and if there’s one thing we know, that Trout rarely give up a chance for an easy meal. 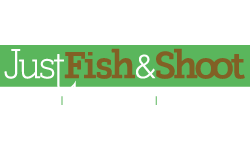 Before we discuss the baits needed for bait fishing, it is essential to consider the proper rods and reels required for this type of fishing. When looking for a rod, factoring in the construction, action, length, and weight can have a positive effect on your Trout fishing and improve your chances.  We can't pick your rod for you, but we can help give you an idea of what is needed to be successful.  Match Rod or Feeder Rod, set up for specific legering, work really well when bait fishing, but note that many people favour using their Spinning Rod as an all-round tool. Casting weights such as ball lead up to an ounce isn't a problem for these rods. Fishing this method has such a wide range that it is hard to narrow down specific rods. A good rule of thumb is to use an 8ft to 9ft, 10-40 grams rod. This will give you extra control when casting. 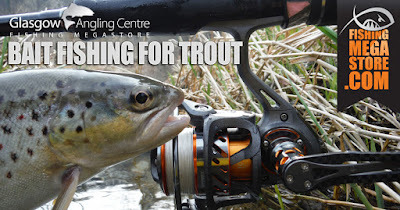 Smaller reels are the perfect companion for your rod when fishing Trout. The Shimano Nasci Front Drag Spinning Reel is an excellent example of the kind of reel that would do the job. 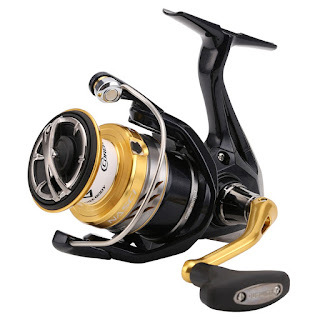 This popular reel offers super smooth performance and superior strength. 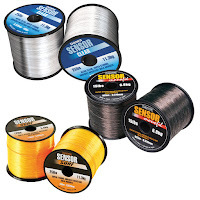 There a number of sizes available in the range, but when you are bait fishing for Trout, a shallow spooled 3000 model is ideal for a lightweight line. At the other end of the Shimano reel range is the Shimano Hyperloop. This classically styled reel is ideal for all kinds of fishing. Another option is Daiwa's Regal BR 4000 Bite n Run Reel which offers excellent retrieve power and a sensitive bite n´run baitfeeder. It is an excellent reel for a feeder, bait, and dead bait fishing where a free-running line is crucial to convert bites. Both reels are suitable for bait fishing for Trout. Now let’s have a look at some of your options when it comes to live bait for Trout. 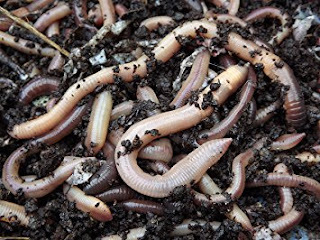 Nothing appeals to the appetite of a hungry Trout than fat, wriggling, juicy worms floating in the drift, so having them in your bait tub is a good idea. The recipe for success is the presentation. Even if the weather hasn’t been suitable for worms to be naturally present in the Trout’s diet, they will still pounce on a adequately presented Worm. To accurately present the humble worm simply thread it through the hook, so that the hook is completely covered and leave an end wriggling around. Doing this will offer the worm in an almost natural way. As with all the baits we will discuss, the hook must be almost invisible. Additionally, a weight is required, ideally a piece of split shot, to reach the bottom. Using the correct amount of weight will allow you to reach the bottom of the lake, river or loch while allowing your bait to drift along with the current. 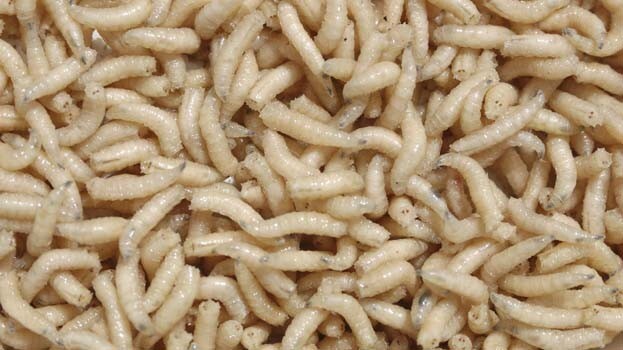 Maggots are arguably the most popular bait used by anglers. Coming in several colours they can be used on their own, pairs or in groups of 4 and 5. The best way to hook a maggot is through the thicker end. If you feel that you are just missing those bites, then switch and hook at the thinner end giving a slightly larger target. lid (make sure there are holes in the lid!) By immersing the maggots in water, they will take more oxygen on board and start to float. The size of maggot tubs you need will depend on where you are fishing and how much you will need. For example, if you are loading feeders, you will need a few extra. There are also several baits less natural regarding the Trout’s diet. Sweetcorn being one example. It will catch good quality Trout due to its bright colour and sweet scent. 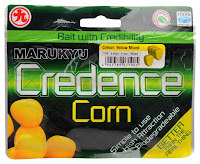 A popular bait due to its availability and the fact that it is very versatile. Some anglers flavour it, colour it and grind it up to make ground bait. The reasons for colouring and flavouring is to alter the bait slightly, as sweetcorn may have been used to excess in some waters and the Trout aren’t as responsive. A lot of anglers argue this and believe that the sweetcorn is colourful enough to attract fish on its own. 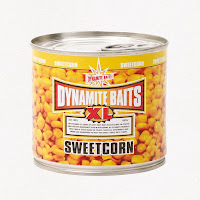 Dynamite Baits XL Sweetcorn is sweetcorn designed and explicitly selected with fishing in mind. It offers the perfect balance of being tough enough to stay on the hook when casting, but it also soft enough for fish to take the bait. When seriously considering your bait, this has to be in the conversation. If you are open to the idea of flavouring or colouring your sweetcorn, it is easy enough to do. Tip the corn into a plastic container, add a squirt of your chosen flavour/colour. Next, give the container a good shake and stick it in the freezer overnight. Come the morning when you thaw out your sweetcorn, the colour and flavour will have soaked into the sweetcorn making it a whole new weapon in your hunt for Trout. 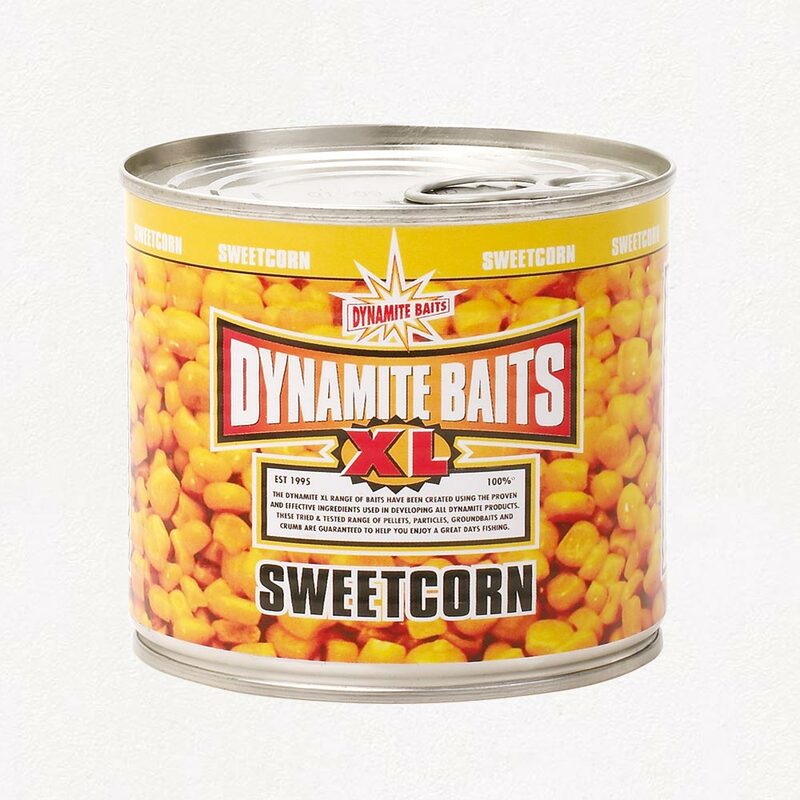 If you have your eye on a big Trout but find there are masses of smaller fish robbing you of your bait, you should start considering imitation sweetcorn. 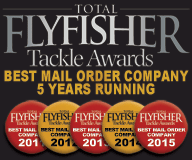 Don’t be put off by the plastic bait, it is friendly to the environment and fish friendly. Once the Trout arrive and start taking they won’t know the difference. 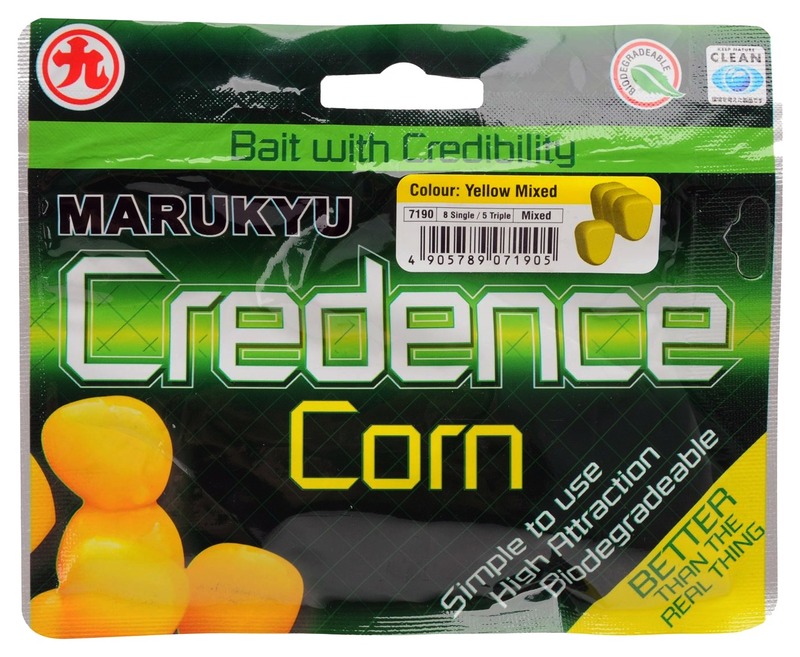 Marukyu Credence Corn uses patented Japanese technology and is an excellent option when baiting with synthetic corns. It is packed full of amino acids and scent attraction. It comes in a range of colours that will draw keen-sighted Trout in from distance. Most important of all it won't fall to pieces as the smaller fish start to nibble. If you don’t fancy using worms, maggots or sweetcorn, then maybe Powerbait is the way to go. 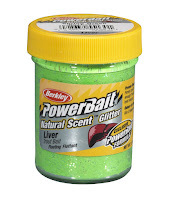 Powerbait is one of the most recent and effective innovations in angling. It is a product made synthetically to formulate smell attractive to Trout. It comes in a number of colour and scent options. Looking like putty in a jar, the bright colours are an excellent stimulant for Trout because they have a very keen eyesight as well as the scent released into the water. 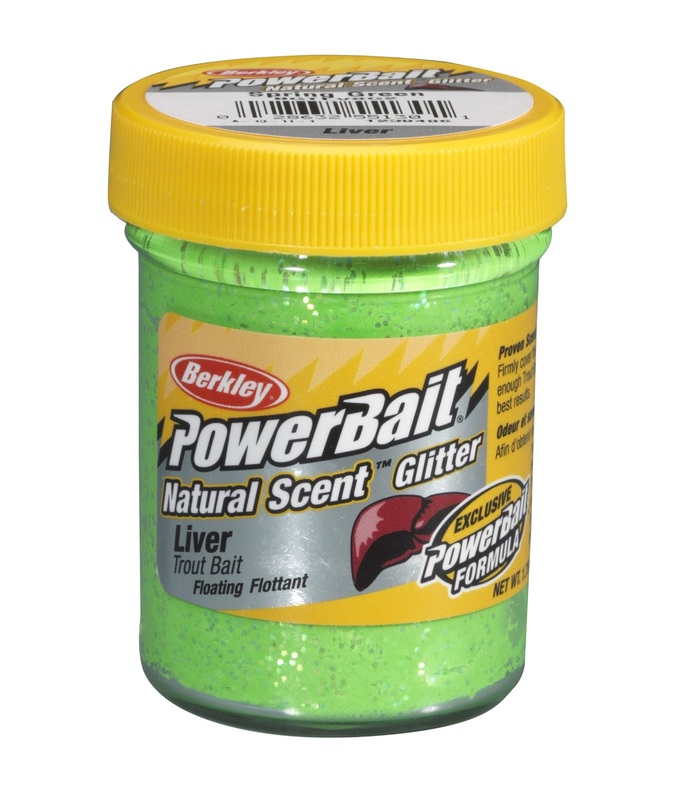 Powerbait Glitter is an option for more visibility, meaning more strikes while the Scent's range adds more pungent flavours like Garlic and Cheese into the mix. This method is most effective at stocked fisheries as the bait is similar to the high protein pellet the fish have been raised on.  Probably more effective when fished in stillwaters rather than on the river as the floating dough is able to settle gently or hover slightly above the weedbeds or silty bottoms. 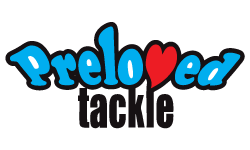 Berkley have also released Powerbait Shads, Worm Tails and a host of enhanced artificial baits to add to your armoury. Remember the key factor when bait fishing is the presentation. The fish is going to want to eat what you are fishing with, and this means none of your rig should be able to spook it. Just to reiterate, hook size is very important when it comes to Trout fishing. Having hooks that are too big can result in you losing some great fish throughout the day. When fishing catch and release for Trout the smaller the hook, the better. size 8’s or 10’s are ideal hook sizes. Trout are very skilled at noticing differences and things that are a little out of place, so it’s imperative to hide your hook as much as possible. It’s not just the wrong hook size that will give you away in the water. Trout will get spooked by line that’s too thick and easy to spot in the water. 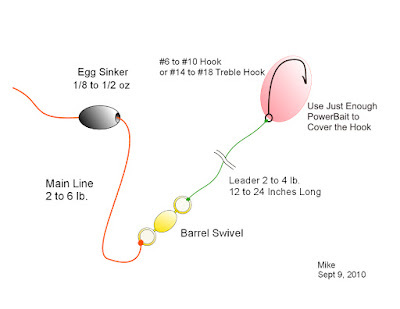 2 to 4-pound line, without spooking your prey, should do the trick even with a sizeable Trout. Fishing a with light line also adds to the excitement. Nothing beats the fight and feeling of a large fish on light line. One last thing to remember is to stock up with plenty of Bubble Floats. There are times when you need some distance on your cast and under those circumstances a bubble float is the ideal choice. When filled with water they act as a casting weight ensuring your bait can be presented wherever the fish are, no matter the distance. Now all that is needed is to tie a hook length of about four or five feet to the other side swivel eye. Bait up the hook and cast out. 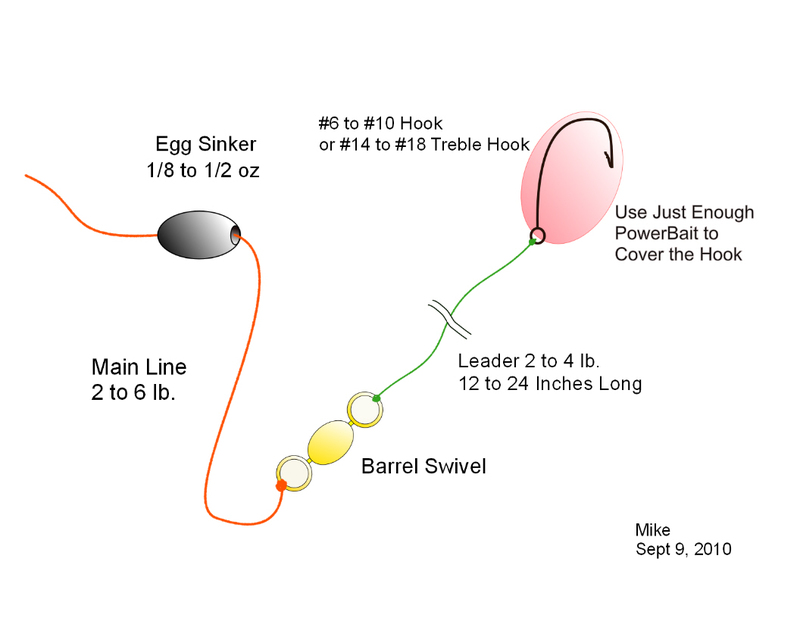 The float will drift along in the current trailing the baited hook a few feet away just below the surface. The float also acts as a good bite indicator. That moment you see the float being pulled under the water is truly hard to beat. Your rig should look like one of the diagrams below, although there a number of different set ups to choose from. You can tell us about your favourite rig in the comment section below. We hope this 'back to basics' bait advice for Trout Fishing helps anglers that may be a bit rusty and especially those who are taking up the sport for the first time.  If you would like more advice about bait fishing for Trout, feel free to contact our expert staff on 0141 212 8880 or visit us in store at fishingmegastore.com.